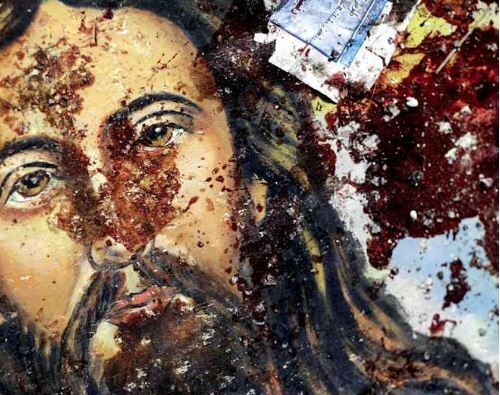 I am deeply saddened and troubled by the persecution of Christians in the Middle East and other vulnerable places around the world. 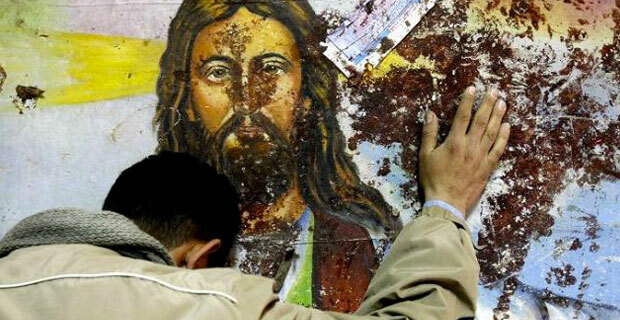 Churches are ransacked and burned to the ground while Christians are murdered for their faith. We all have heard about the martyrdom occurring for the whole world to see. Christians are being rounded up and carried away. The Islamic Extremists are taking women and children and selling them into sexual slavery…..to use them for their sick purposes. Little girls ages 1-4…..I can’t even imagine the horror they are experiencing at the hands of ruthless evil. 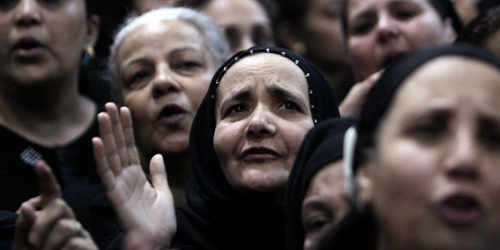 Christian men have been paraded through the streets in cages and then beheaded. They bravely kneel before the world with Jesus being uttered with their last breath. This is the world we live in. We see these images splashed across our screens and the stories told on the radio. Hatred is growing and evil is moving from city to city. It has a plan. It is as if evil has been unleashed and all of Hell is being poured out. It makes me wonder. How have we gotten here? Had you ever imagined such sights in our advanced world? I know there are all sorts of geo-political and historical reasons for this unrest. I also know it is a battle between good and evil. The stakes are high…..the costs are even higher. Regardless of your political or theological persuasion, evil is evil. We see it in the every day morality battles America is engaged in. There is truth. There is right and wrong. There is evil. And there is good. Yet, it seems so incredibly difficult to call it for what it is. Some seem paralyzed to utter the words while Christians and Jews are being openly and brutally persecuted right in front of our eyes. We are not worthy of them. These persecuted Christians are willing to give their very lives with the name of Jesus on their lips as they take their last breath. Many have grown mute in America and can’t seem to find our collective voice. We are more concerned about political correctness, all the while watching the advance of evil. I fear we will pay the price and mourn our inaction. These extremists are not peacefully practicing a religion. This is not a freedom to be protected. They are on a mission to destroy anyone and everything that would differ or speak out against them. So, I have a question for you, my friends. I know these brothers and sisters in Christ ask the same question. Where are we in this great fight and why can we not stand with them in this dark hour? Here is my concern. If we can’t stand with them now, how are we going to have strength to endure if this evil spreads to our soil? If we can’t stand up as a country and speak honestly about who these evil people are and what they are doing, how are American Christians going to be protected? How will we deal with persecution? I know there are those who would say, “It will never come to America. We are too great.” How can we be so sure? Look at the rise of these extremists in such a relatively short time. I have no credentials on the subject and probably sound ridiculous to some. But, did you ever imagine such a holocaust could ever happen again? In our lifetime? I hoped we had learned from the mistakes of our past. We should pray for our fellow Christian brothers and sisters around the world experiencing persecution. I am moved by the reports I see. My emotions and thoughts run wild. What can I really do? How would I handle being persecuted? We live in America and we have never really had to defend our right to be a Christian. Not really. We’ve given up key fights over the years and so now we experience social push back. But that is our own fault. That’s not really persecution. We are not worthy of them. These martyrs for the faith. I pray God would give peace and strength to them. I pray God would hear their prayers and meet their needs. Preserve them and draw them close to Him. Jesus, protect the women and children who are being sold into sexual slavery for heinous and perverted purposes. Comfort these your children as they witness heinous evil so vile and grieve as their loved ones are carried away. I pray for the families that are split and divided perhaps never to be together again…..speak peace to the mothers and fathers, brothers and sisters. I pray you would carry them and stay close to them as many will be called upon to give their very lives. I know you find them faithful. This is not my usual topic for blogging. But, I couldn’t get away from it today. I pray about my posts each week and I just couldn’t walk away from this. I would ask you to join me in praying for our brothers and sisters in Christ. They are being called upon to give their lives for their faith. He has found them worthy….we are not worthy of them.